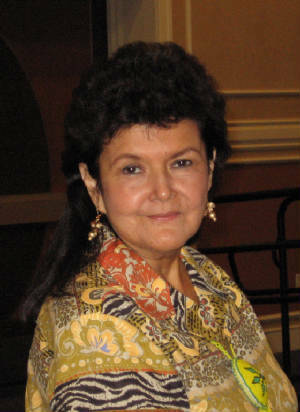 In June of 2006 after a long battle with Leukemia Joyce lost her life and started her westward journey. She was an inspiration and a guidence to all of us at A.I.I.A. and will be deeply missed. Born on the Turtle Mountain Indian Reservation in North Dakota, she moved here in the early 70's with her husband and daughter. She leaves behind her husband of 38 years, Russ, her son Patrick and her daughter Kim and her husband Rick, along with grandchildren, Olivia and Joe.